Yvon Chouinard, a noted fly fisherman (chosen by "Fly, Rod, and Reel" as Angler of the Year in 2009) and environmentalist, is the founder and owner of Patagonia, Inc. He cofounded, with Craig Mathews, 1 Percent for The Planet, a group of businesses giving back to the environment. He lives in Ventura, CA. Craig Mathews, with his wife, Jackie, is the owner and founder of Blue Ribbon Flies, a retail fly-fishing outfitter based in West Yellowstone, MT. 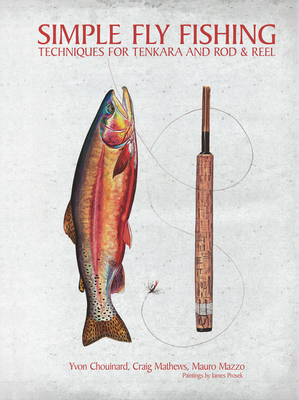 Craig has authored five books on fly-fishing in the western United States and Yellowstone National Park and is renowned as an expert fly fishing guide. Mauro Mazzo is an FFF Certified Master and THCI Casting Instructor, and he writes and photographs on a regular basis for European fly-fishing magazines. He has fished around the globe from the Italian Alps to Himachal Pradesh, from Cuba to the Kola Peninsula. He lives in Milan, Italy. James Prosek is an American artist, writer, and naturalist. Born in Stamford, CT, he is a 1997 graduate of Yale University where he was a member of Manuscript Society. Prosek published his first book in 1996 while studying at Yale. He lives in Easton, CT.